It’s that time of year, and the holidays are sneaking up on us yet again. With family get together, dinners, parties and the like, one often finds our weight sneaks up on us as well. It’s all too easy to get off track with our diet and exercise routine during the holiday season, but with a little discipline and will power you can come out fit, not fat. Here are some tips to help you do just that. 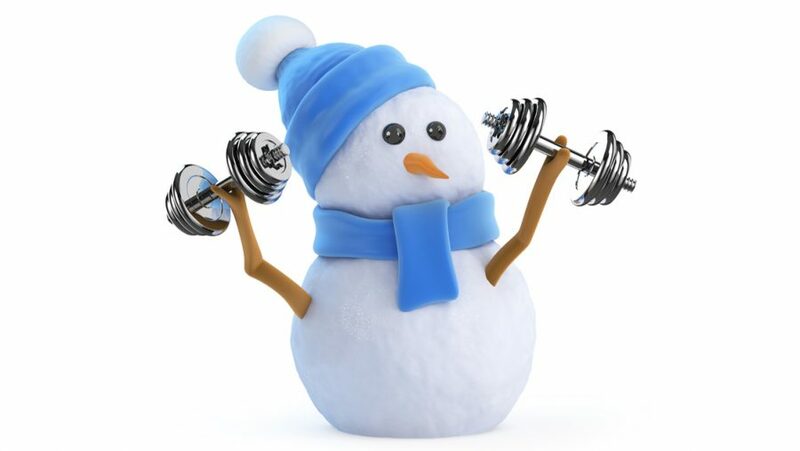 Not only is it important to keep up with an exercise routine, but you may need to amp it up a little this time of year. If you’re going to indulge and have extra food and/or alcohol calories, you’ll need to make sure you burn off more calories through exercise. Schedule your workouts around holiday events so you don’t miss out on the much needed calorie burning to keep your metabolism up. If you know you’re going to a dinner party and likely to indulge a little, then try to eat less throughout the day. Try to limit your fat and sugar intake in your other meals to keep the calorie content down. Incorporate lean protein and vegetables to help keep you full, and most importantly, don’t skip meals. Eat a light meal or snack beforehand so you’re not ravenous and want to eat everything in sight come dinnertime. I find it’s very helpful to be aware of the nutrient content of foods. Look up some of the foods you like eating and you might be quite surprised. There are a few food items I used to indulge in, unaware of the high calorie and fat content. I didn’t want to know, but really wasn’t doing myself a favor by not knowing. Once I looked up the alarming calorie and fat content, I was motivated to quit and opted for a healthier substitute. You can look up restaurant foods on dietfacts.com or Google nutrient information online for just about any food item. Keep your goals in mind when making food choices. Try to fill up on nutrient dense foods like lean proteins and vegetables (without butter or cream sauces). Bring a healthy dish to share and try to make the healthiest choices you can with what’s offered. Limit the higher fat and sugar foods, and remember its ok to say no to dessert or seconds if you really don’t want any. If you know can’t just eat one cookie, then don’t eat that first cookie! I know, easier said than done, they just seem to jump in your mouth. If you’re at a party standing near the cookies (or other tempting desert), move somewhere else so you can’t see or smell them. The further they’re out of your reach the better, as with anything. If you’re standing and talking near the food table, you’re more likely to grab food and talk then if you weren’t. You can also try to chew a piece of sugar less gum to help ward off cravings and avoid that temptation. Try to take the focus off of food, and focus on having fun with your friends, family, and co-workers. It doesn’t have to be all about the food. It’s the time shared together, a time meant to celebrate and enjoy. If you’re not doing so already, try to think of a fun active game to do at holiday events. It could be something as simple as going for a walk, playing charades, a video game dance off, a game of kickball, or sled riding (weather permitting). Have fun and burn off some much needed calories (and hopefully take your mind off of going for that extra piece of pie). Stay on track this holiday season, and help yourself from gaining the dreaded fat pounds that typically comes with it. Follow these tips so you don’t tip the scale! You’ll be much happier (and healthier) this holiday season because of it!